“Fleur Murphy’s story-telling sparkles… Murphy writes whirling, unfiltered emotion most powerfully” – Australian Stage Review. 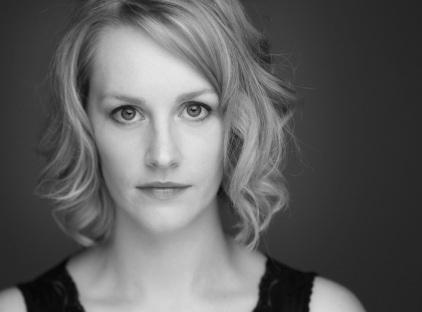 Originally from country Victoria, Fleur is an emerging playwright who has a B.A. in Theatre Performance from the University of Ballarat, Arts Academy. Fleur is interested in exploring ways in which text can push the boundaries of more conventional forms of playwriting and storytelling and is attracted to developing and presenting work with a challenging structure or use of language. Her short film, Rain For Morgan (Jerky Cat) won multiple awards around the world including Winner of “Best Narrative Short” (Festivus Film Festival Denver, Colorado 2011), Winner of “Best International Short Film Under 50mins” (Ireland International Film Festival 2010), and Winner of “Best Sound Achievement in a Short Film” (Australian Sound Guild Awards 2010). Fleur’s first full-length play, Shadows of Angels premiered at the Adelaide Fringe Festival in 2012, and received further acclaim at the SheppARTon Arts Festival and the Owl and the Pussycat Theatre in Richmond in 2013. In October 2014 an exciting ‘immersive’ staging of the show was presented by TBC Theatre in partnership with The National Trust of Victoria. The show was staged within the gaol cells and exercise yards of Melbourne’s historic City Watch House. Shadows Of Angels was also short-listed for the Theatre503 Award in London. Fleur has been a writer in residence at the Old Melbourne Gaol through an initiative offered by Writers Victoria and the National Trust. This time was used to focus on writing and developing her latest play script, As We Come To Wake and concluded with a workshop and public reading at the Old Melbourne Gaol in July 2014. In addition, this past year has also seen Fleur become an ensemble member and resident writer at TBC Theatre, as well as receive Second Place in the Open Short Story category of the My Brother Jack Awards. Fleur is an accomplished actress with some of her career highlights including: Film – “Irresistible”, “Rain for Morgan”, and “Kill the Alphabet”, Television – “Neighbours”, “The Wedge”, “Utopia” and various TVC's, Theatre – “Julius Caesar”, “As You Like It”, “One Cloud”, “Birthday", “Loveplay”, “Metastopheles” and "Project: Hysteria".